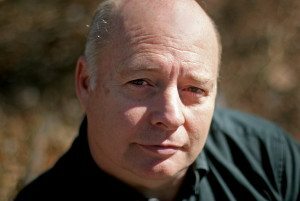 His book reviews and essays are regularly published in many of America’s biggest and best newspapers, such as the Washington Post, Chicago Sun-Times, San Francisco Chronicle, Denver Post, San Jose Mercury-News, St. Louis Post-Dispatch, Milwaukee Journal-Sentinel and others. He has been a guest on CNN, Fox News, NPR, the Today Show, ABC News, and other major broadcast outlets all over America. And he appears regularly on crime documentaries at Investigation Discovery, History Channel, and A&E. 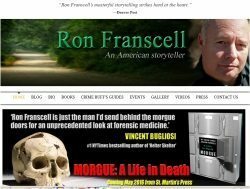 On May 17, St. Martin’s Press will release MORGUE: A LIFE IN DEATH, which Ron co-authored with renowned medical examiner Dr. Vincent Di Maio. It explores the most historic, infamous, and heartbreaking cases of Dr. Di Maio, one of the world’s lions of forensic medicine. From the exhumation of Lee Harvey Oswald and the racially charged shooting of Florida teen Trayvon Martin, to the unmasking of a serial baby-killer and the mysterious death of troubled genius Vincent van Gogh. Along the way, one of the country’s most methodical and intuitive criminal pathologists will dissect himself, maintaining a nearly continuous flow of suspenseful stories, revealing anecdotes, and enough macabre insider details to rivet the most fervent crime fans. It’s already been hailed as a “tour de force” and “crime masterpiece” by a brilliant array of people you know, from the late Vincent Bugliosi and Dr. Michael Baden to crime-writer Gregg Olsen and actor David McCallum. It’s also earned starred reviews at Booklist and Publisher’s Weekly. Ron’s debut novel, ANGEL FIRE, was published by Laughing Owl in 1998, and reprinted by Berkley (Penguin/Putnam) in 2000. Soon after, it was listed by the San Francisco Chronicle among the 100 Best Novels of the 20th Century West (No. 74, in fact). 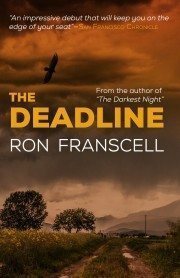 His popular mystery, THE DEADLINE, was published in 1999, followed by a sequel, THE OBITUARY. Both are now WildBlue Press titles. 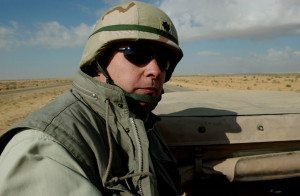 DELIVERED FROM EVIL (2011) explores the entangled lives of mass-murderers and their victims, tracing the lives of 10 ordinary people who survived some of America’s worst massacres. Auspiciously, it debuted on the day a deranged young gunman killed six and wounded 13 at a Tucson supermarket in one of the most shocking crimes of our day. Ron’s popular CRIME BUFF’S GUIDEs are quirky travel guides taking true-crime and history travelers to significant crime-related sites all over America. 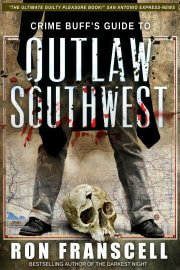 The series started with THE CRIME BUFF’S GUIDE TO OUTLAW TEXAS (2010). Then came OUTLAW ROCKIES (2011), OUTLAW WASHINGTON DC (2012) and OUTLAW PENNSYLVANIA (2013). 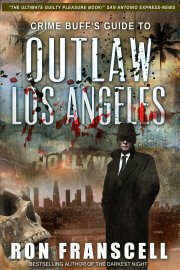 OUTLAW NEW MEXICO and OUTLAW ARIZONA came out in the summer of 2014. 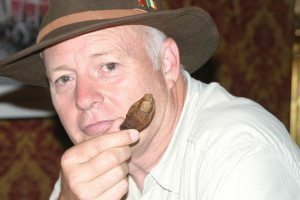 THE SOURTOE COCKTAIL CLUB is a significant departure from true crime. 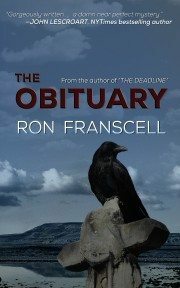 It’s an intimate account of Ron’s extraordinary road trip to the Yukon with his son, where they drank a cocktail containing a mummified human toe and spent the longest day of the year under an Arctic sun that never set. Magical. But it’s also an intimate exploration of what it means to be a father and a son. Praised by legendary authors such as W.P. Kinsella, Ivan Doig, William Least Heat Moon and others, SOURTOE moves road memoirs a little farther on their journey.